Recently, I was approached by Gobdiguon Skincare to try out some of their products from their newly launch Goat Milk range. 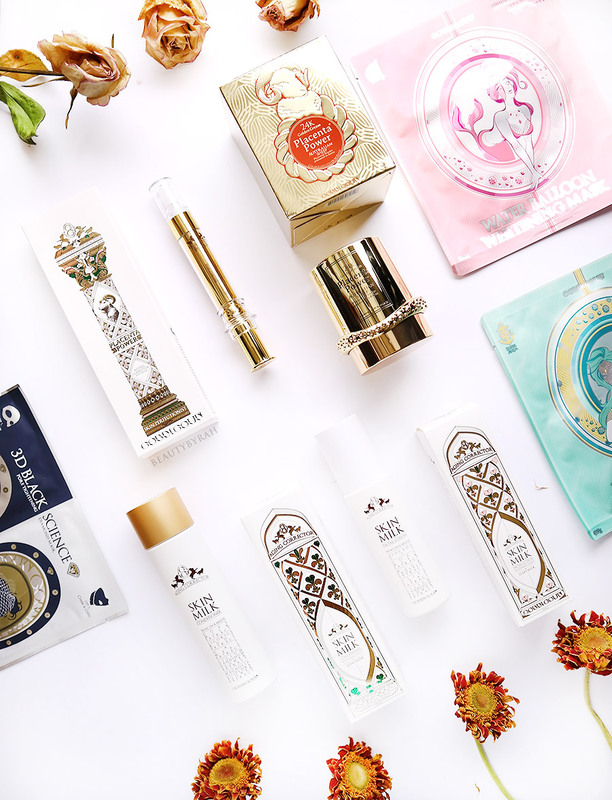 As mentioned before, I've been trying to dip my toes into the world of Korean beauty and I saw this as a perfect opportunity. 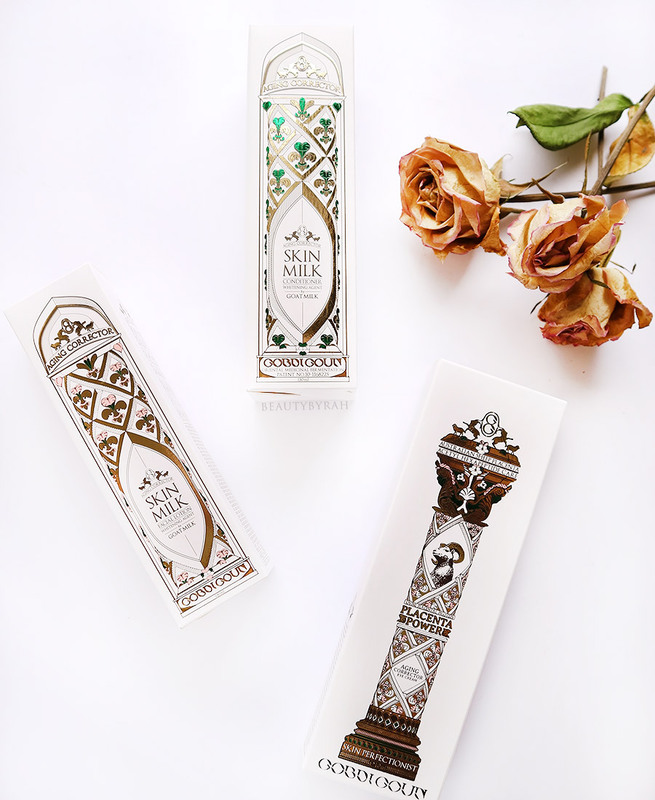 Gobigoun is a luxury skincare line that was created in 2010 under the company Beautiplex. They have a brick and mortar store in Myeongdong and I am pretty sure I walked past it when I was in Seoul in March! I didn't walk it as it looked really luxurious and fancy and obviously, I wasn't ready to part with cash that I was going to spend on dumplings down the street. I received the Aging Corrector Skin Milk Conditioner, Aging Corrector Skin Milk Facial Lotion as well as the 24K Golden Placenta Cream (which is their best seller) and the Placenta Power Aging Corrector Eye Cream and their Water Balloon Masks from their placenta range. Firstly, can we just take a second or two to admire the packaging? These are probably the prettiest boxed I've seen for skincare thus far! One thing about korean beauty is their unique and sometimes, odd ingredients. Western cosmetics are generally similar in terms of chemical formulation but korean skincare is just utterly interesting. Goat Milk and Placenta are two main ingredients which I have not tried on my face before. Goat Milk is a natural moisturiser and it is said to be absorbed easily into the skin due to it being close to the pH of human skin. I've heard good things about goat milk before so I wasn't too baffled by this ingredient. From the Goat Milk range, we have the Aging Corrector Skin Milk Conditioner, Aging Corrector Skin Milk Facial Lotion. I am going to be honest here and tell you that I did quite a bit of research to figure out what a skin conditioner is, and from what I've read, I believe it is a prep step before applying the facial lotion which ultimately is a lightweight moisturiser. 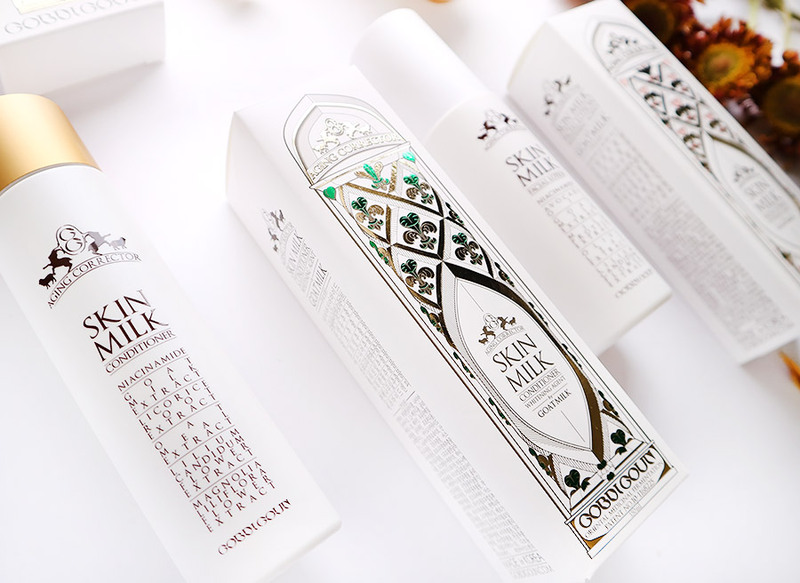 The Aging Corrector Skin Milk Conditioner is a skin care primer/toner and features the use of goat milk, ceramide and milk protein extracts which are easily absorbed into skin to help soften the dermal condition.This also contains niacinamide,vitamin-c and extracts of white flower, lily of the valley and lily magnolia flower help brighten up the skin. This is a clear fluid liquid that is extremely lightweight. I usually just put a few drops on my hand, smear it together and then press it onto my skin. It feels slightly hydrating and it does not leave a tacky residue after application. As it gets absorbed quickly too, I do not have to wait too long before I apply my other skincare products. Also, there is this whole idea of the 7 Skin Method (even mentioned on Allure and Byrdie!) where one simply layers the toner on the skin 7 times. Man, the things we do for beauty eh? This method is said to help the effective absorption of the toner/lotion into the skin, and giving it the post-facial glow. Thus, this Aging Corrector Skin Milk Conditioner is said to be perfect for that. Gobdigoun does recommend layering only twice if you have oily skin, 4 times if you're of normal skin type and 7 times only if you're dry. As the formulation of the conditioner is extremely light, I definitely see this was a possibility! The Aging Corrector Skin Milk Facial Lotion features the main ingredient of goat milk and also includes argan oil (which has plenty of oleic acid and vitamins), avocado oil, niacinamide, vitamin c and white flower complex (that is extracted from peonies,lily of the valley and lily magnolia flowers like the skin milk conditioner) to aid in whitening. This facial lotion comes with a pump which makes the dispensing of the product hassle-free. It feels extremely lightweight on the skin and it got absorbed almost immediately. My makeup went atop it nicely and I had no issues of my skin feeling tight throughout the day. So far, so good and I will keep using this to see how things go! Honestly, this is the first time I've actually heard of the use of placenta in skincare (and I am awfully skeptical) so I had to do a little research. Apparently, placental extract is known for having a large amount of amino acids and peptides, as well as nourishing ingredients that could be beneficial to the skin such as reducing the appearance of wrinkles. However, I can't seem to find any concluding study or research that proves that placenta actually improves the skin condition. Of course, please do your own research if you're interested! Regardless, Gobdigoun is know for their placenta products, especially their Placenta Power Australian Sheep 24K Golden Cream which is a best seller. The Placenta Power Australian Sheep 24K Golden Cream is an intensive mosituriser that contains Placenta Ovine Placenta Protein which is a natural ingredient obtained through scientific system in Australia. This protein is said to have a specific molecular structure that is similar to that of humans which thus helps to enhance the level of immunity of the skin. This cream claims to help in the natural recovery of the skin and provide anti-aging and detox effect resulting in dermal relief. It also contains 47% Centella asiatica extract which can remarkably relieve skin dryness and hydrate the skin. 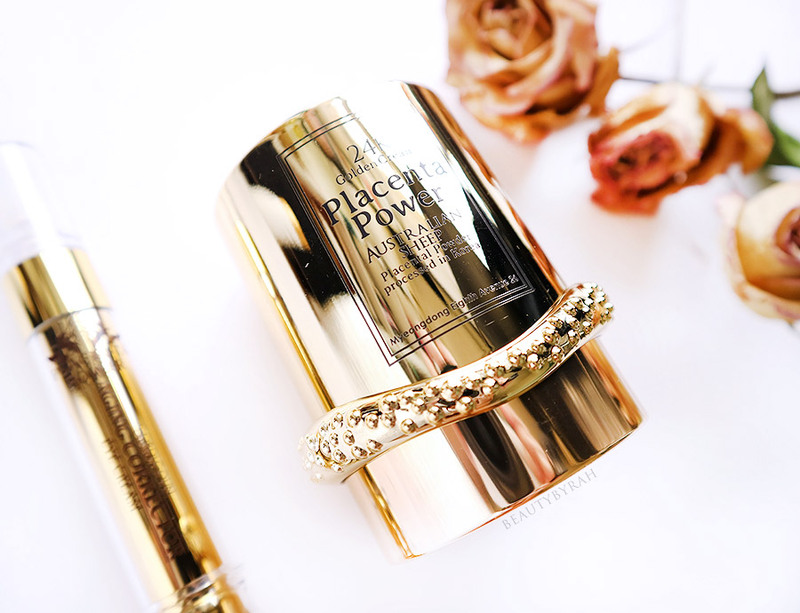 I also received the Placenta Power Aging Corrector Eye Cream which claims to be effective on almost every type of wrinkle on your face such as forehead lines, crow's feet, eye bag, mouth frowns and vertical lines, tear troughts, and neck lines. It also contains the placenta portein refined from the Austrialian ovine placenta, and according to my own research, placenta does seem to have the ability to reduce the appearance of wrinkles. As I do have quite a few fine lines underneath my eyes, I am pretty excited to try this out and see how it goes. 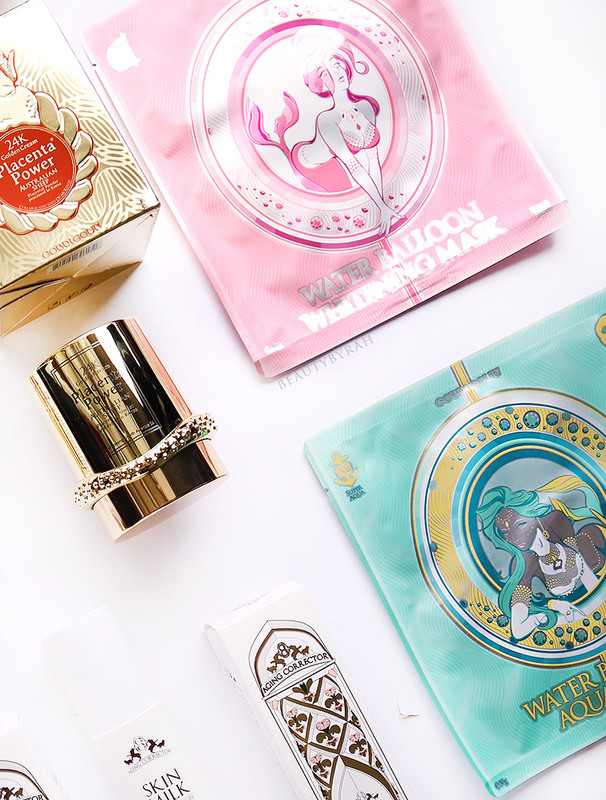 In addition to these products, I also received their Water Balloon Masks from their Aqua and Whitening series. The Aqua Series is made from the arnika montana flower which grows wild around the Swiss Alps, Portulaca Olearcea Extract and Witch Hazel Flower Water which all work together to help improve skin hydration, soothe, and with skin elasticity and nourishment. The Whitening Series contains Vitamin B3 which aids in the whitening of the skin complexion. I have not tried these placenta items and face masks yet but they are definitely on my list for the next month! I am still pretty skeptical about placenta as an ingredient, but I suppose I would never know until I try it out myself. 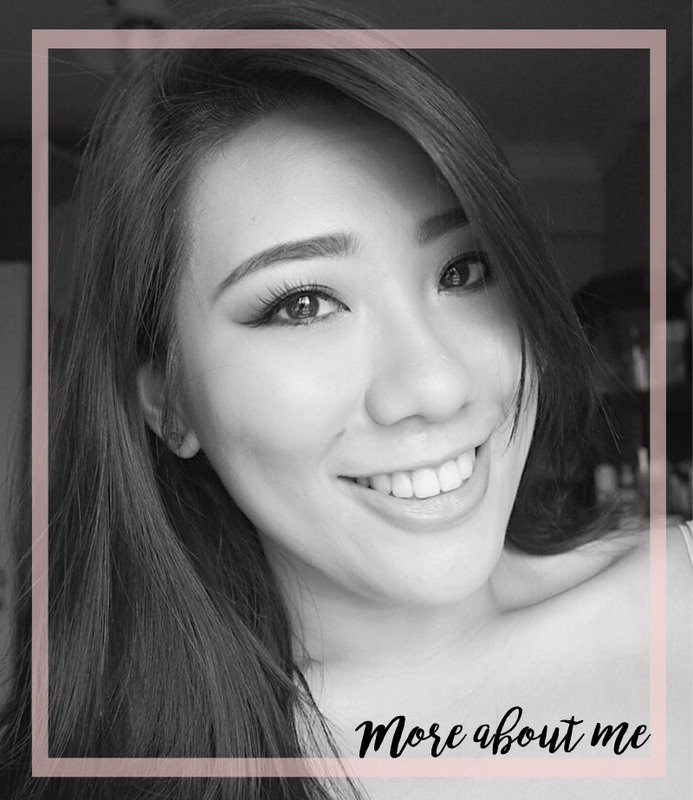 If I do enjoy them, I will be sure to update you guys in my skincare or monthly favourites. If you're interested, you can also check out their Facebook page here. You can also make your purchases through their Facebook Fanpage Shop if you would like to. **These products were sent to me by Gobdiguon. Only honest thoughts are shared here, with no influence from others. I am not compensated nor affliated to the brand.